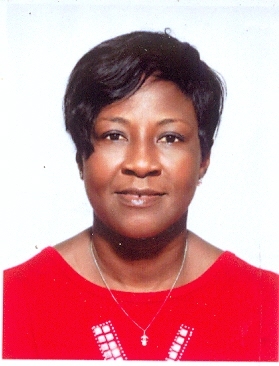 Eunice Efua Amankwah holds a bachelors degree in development studies from the University of Development Studies. She is the president of Great Ladies in ministry, a non denominational group of Christian ladies. She is also the founder and director of GLIMS foundation, a nonprofit organization supporting vulnerable women and girls in deprived communities to achieve their full potential. As a development oriented young woman She is passionate about improving the lives of vulnerable women and girls, ensuring that they have access to opportunities that will assist them to eradicate poverty out of their lives leading to a fulfilled life without fear of violence. 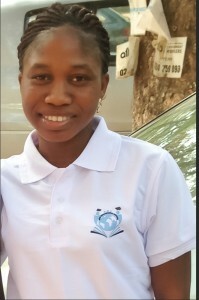 “I believe in women and girls empowerment and I know that when women are empowered, their families benefit and this benefit have ripple effects on future generations.” Eunice. My name is Ms. Rosemond Yeboah and I was raised in Ghana, West Africa. I began my education in Takoradi; (Ghana) precisely at Chapel Hill Preparatory School. I proceeded to Archbishop Porter Girls’ Secondary School. I continued to O.L.A Training College in Cape-Coast (Ghana). I furthered my education, completing University of Cape-Coast in the year 2014. I graduated with a Bachelors Degree in Basic Education. I am currently teaching at Airforce Station Basic School. I have a 24 year career of teaching and I find it fulfilling. The greatest joy I experience from my teaching career is when I encounter students from previous years who have gone on to become responsible and productive young men and women in the society. I have also served in the youth ministry for several years and now serving in the women’s fellowship in my church. I am excited to serve as a member of T.E.I. My prayer is for wisdom and strength to make a positive impact on the students I will have the privilege to mentor. I am grateful to the organization for the opportunity bestowed on me. 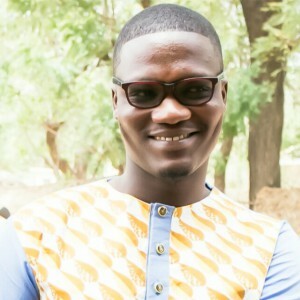 Samuel Ahinsah Justice graduated from the Kwame Nkrumah University of Science and Technology with BA in Integrated Rural Art and Industry. He is an Art teacher at Fountain Gate International. He enjoys meeting new people and is also passionate about embarking on evangelistic outreach programs. Conclusively, he believes that education is when one is able to apply acquired knowledge to meet or avert a need in daily practical living. He also believes that education should capitalize on the talents and abilities of the ones being educated. He has a passion for young women and has a desire to see them come into their own, growing in confidence and fully living out their dreams and presenting their talents and abilities for the benefit of the world. Partnering with T.E.I is an ideal opportunity to facilitate the very brighter future of young ladies and children of the world as a whole. Annan Enoch Adjei Amo is a District Accounts Officer for a series of companies namely; PBC Limited, Merchants in Cocoa, Shea Nut Butter and Golden Bean Hotels located in Accra, Ghana. Enoch Amo Adjei is a graduate from Adisadel College, Cape Coast Ghana and a graduate of the University for Development Studies, where he received a BA in Business Studies (Accounting and Finance). Born and raised in Ghana, Enoch began his Career as Legal and Administrative officer with PBC Limited soon after graduating from the University. He then moved to face a new adventure as the Accountant for the Mall Pharmacy for a year and returned back to PBC Ltd as a District Accounting Officer.